Every great journey has a beginning. Ours began in the historic South Side of Pittsburgh, PA. Fat Head’s Saloon was founded in 1992 and established itself as an early pioneer in bringing the craft beer industry to the area. The original Fat Head’s earned an amazing following and has continually maintained a reputation as a premiere craft beer tap house and restaurant. 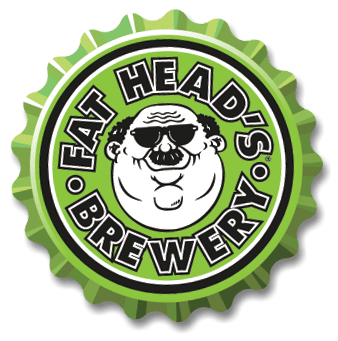 In 2009 Fat Head’s teamed up with award winning brewer Matt Cole to create Fat Head’s Brewery & Saloon in North Olmsted, Ohio and it crashed the scene like a two-headed monster. Success was virtually instantaneous (it came quickly). Producing over 5000 barrels in its first 3 years of business, Fat Head’s beers gained notoriety by winning some of the most acclaimed awards in the brewing industry. Fueled by high demand and the explosion in popularity of Fat Head’s beers, we expanded to a full-scale production brewery in 2012. Fat Head’s Brewery is located in Middleburg Heights, Ohio. We are dedicated to staying true to our core values of hard work and pride in craftsmanship that resonate throughout the region. We hope you enjoy the ride. Learn More About Fat Head’s Brewery And Their Beers By Visiting Their Website.